You never have a second chance to cause the first impression. One day I will be creating one more Private Area Access website, dedicated to educate, discuss, and teach how to deal with very heavy negative energies. Keep posted, I hope sooner then later!! ​​For more tips on developing your Reiki abilities click on Reiki Practitioner to get new ideas for spiritual self practice. Always have a print out Client Waiver Form, asking client's full name, phone, address, email, etc, and to sign the waiver form which is very important for your own legal protection. I, the undersigned understand that the Reiki session given involves a natural hands-on method of energy balancing for the purpose of pain management, stress reduction and relaxation. I understand very clearly that a Reiki session Is not a substitute for medical, or psychological diagnosis, and treatment. 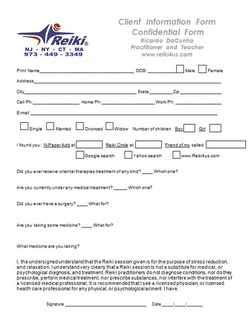 I understand that Reiki practitioners do not diagnose conditions, nor do they prescribe, perform medical treatment, nor prescribe substances, nor interfere with the treatment of a licensed medical professional. It is recommended that I see a licensed physician, or licensed health care professional for any physical, or psychological ailment I have. 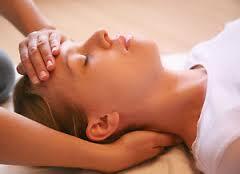 I understand that the practitioner will be placing hands on or above my body during the Reiki session. At this association we Reiki Practitioners can get a Reiki Liability Insurance for your protection against possible law suits. It is good business practice to ask new clients to sign an energy work and consent form. 12. Be working to create harmony and friendly cooperation between Reiki Practitioners/Master Teachers in the community and represent the IARP in a most professional manner.